This page shows electricity plan, price and discount changes from the energy providers on Canstar Blue’s database. If a retailer increases its rates, changes its discounts or launches new products, you’ll find all the information you need right here. That’s our aim, but you should also be sure to check your bills and any other correspondence from your retailer so you don’t miss any details of price changes. Tango Energy has reintroduced its Home eSelect product in Victoria. The only difference between this and the Home Select plan is that it includes a $50 rebate after the first 60 days. It’s available online only. Momentum Energy has cut rates on its three electricity products across Victoria, maintaining its record for making fairly frequent price changes. The SmilePower Flexi, Solar Step-up and Move Mate plans have all seen a modest reduction in overall costs, saving a typical three-person household on the Citipower network in Melbourne about $30 a year compared with previous rates. See what the price changes means for how Momentum compares to the market with our price comparison page for Victoria. Origin Energy has increased the discount on its Maximiser product within NSW. It has jumped up from 16% to 25%, conditional on you setting up direct debit payments. In addition, the retailer has also removed its Maximiser Online Only plan from the NSW market. Despite the jump in discount for the Maximiser, Origin’s One Low Rate plan generally works out cheaper in NSW. 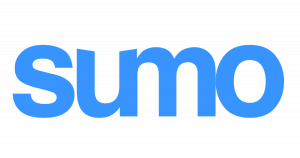 Sumo has changed the rates on all of its Victorian market offers. The Residential 27, Residential 42 and Residential 43 plans offered by this retailer have all slightly decreased in price without any changes to the advertised discount amounts. It has also added an additional plan into its mix, the Residential 37, which comes with a 37% pay on time discount. In NSW, Sumo has also added an extra product, bumping the total market offers in that state to two. The new product is called ‘12% Pay on Time Discount’ which, as the name suggests, gives you a 12% discount for paying on time. This plan works out quite a bit more expensive than the provider’s other NSW offering, the ‘27% Pay on Time Discount’. After operating in Victoria, New South Wales, Queensland and South Australia for a number of years, Red Energy has now opened up shop in the ACT. For the time being, the provider is offering its Easy Saver plan in this state with two rate options. Red joins the likes of Energy Locals, Origin and EnergyAustralia to recently launch new plans in the ACT. Tango Energy has reintroduced its Home eSelect plan, which has fixed prices for one year and gives customers a $50 rebate after 60 days. This can only be applies once per 12 month period. Customers who join this plan must sign up for monthly bills, direct debit and electronic billing. A few months after removing its ‘Fair Deal’ products from across the states, Alinta Energy has brought them back to life. Providing the retailer’s biggest discounts and therefore cheapest prices, the Fair Deal plans are now available again in NSW, VIC and SA, with up to 43% off electricity usage charges for paying on time, in the case of Victoria. Discounts are a little more modest 30% in NSW and 28% in SA. Alinta maintains its guaranteed, smaller discount (Fair Saver) products in each state. EnergyAustralia has cut conditional discounts on some plans in QLD and NSW. Melbourne-based retailer GloBird Energy has reduced rates on its EasySave and GloSave products in Victoria. Interestingly, the conditional discount on the GloSave plan has also been reduced from 35% to 31%, but overall estimated costs have still come down. That said, the big discount GloSave plan now works out more expensive than the no discount EasySave. However, the catch with the EasySave plan is that you must set up direct debit billing from a credit card to sign up. Origin Energy has launched its One Low Rate product in NSW and Queensland. Previously only available in Victoria and the ACT, One Low Rate comes with locked in rates for 12 months, with no conditional discounts. Despite the lack of discounts, the plan can work out cheaper than Origin’s discounted offers, with the added benefit of fixed usage and supply charges. One Low Rate is now one of the most competitive deals in both NSW and QLD at the time of writing. Just weeks after removing its cheapest market offer from some states (see below), Alinta Energy have increased prices on its remaining plans in NSW and South Australia. The Fair Saver product has seen a small increase to both usage and supply charges, increasing costs by about $30 a year in both states, based on a typical three-person household on a single rate tariff. The Fair Saver has a guaranteed discount of 15% off usage charges in NSW and 17% in South Australia for 12 months. It’s been a while but QEnergy is back with some product changes. The retailer that likes to change products and prices more than most has introduced new offers for NSW and QLD, while removing its Flexi Saver Home plan across all states. In come the Home Saver Variable in NSW and QLD, plus the Home Saver Lite Variable in QLD. It all means that QEnergy becomes more competitive, but for how long, we’ll have to wait and see. Check out our comparison tool for up to date pricing. AGL has made subtle changes to two of its discounted plans in Victoria. The variable rate AGL Savers has seen its pay on time discount reduced from 33% to 30%. Meanwhile the Savers Home Connect plan – which comes with a bonus Amazon Echo device – has seen its discount cut from 18% to 16%. This plan also comes with variables rates but the discount is guaranteed rather than conditional. Lumo Energy has revealed a new plan for Victoria and South Australia, with movie-lovers clearly in the retailer’s sights. The Lumo Flix is similar to the retailer’s Lumo Value plan, but it comes with the added bonus of two-for-one HOYTS movie tickets from Monday to Wednesday. However, Lumo does point out that some restrictions and conditions may apply. For example, a maximum of three free tickets are available per transaction. The plan also comes with a conditional discount of 3% or 5% (3% for paying on time and an extra 2% if you also choose direct debit payments). Alinta Energy has made fairly dramatic changes to its product line-up in some states, removing its biggest discount ‘Fair Deal’ offers in NSW and SA. The Fair Deal came with pay on time discounts, but the retailer says it is moving away from conditional discounts and instead offering customers smaller, but guaranteed, discounts off usage charges. The upshot, however, is that new customers in market can expect to pay more with Alinta’s new ‘Fair Saver’ products compared to its previous offers. Just a few weeks after increasing prices in Victoria, Momentum Energy has slashed its rates and become far more price-competitive for customers in market for a new deal. The rate cuts apply to Momentum’s SmilePower Flexi, Solar Step-up and Move Mate electricity products in Victoria. See what the price changes means for how Momentum compares to the market with our price comparison page for Victoria. Origin Energy has been busy. The retailer has now increased the conditional discounts on its Maximiser and Saver online-only products across the states. These discounts are only available for customers who sign up on the Origin website, instead of over the phone, for example. Origin has also launched the online-only version of these plans in Queensland and the ACT for the first time. Simply Energy has beefed up some of its discounts in South Australia, with two plans going from ‘Plus’ to ‘Extra’. The retailer has a habit of switching up these plans from time to time, and the upshot is that costs have been reduced. The Simply RAA Plus has become Simply RAA Extra, meaning the discount increases from 21% to 25%. Meanwhile the Simply Plus plan becomes Simply Extra, with the discount going from 18% to 22%. Customers on the old plans will need to contact Simply Energy to upgrade to the latest offers. Origin Energy has launched its One Low Rate plan in the ACT. Previously only available in Victoria, One Low Rate is Origin’s no discount electricity plan, simply promising competitive rates without the confusion of conditional discounts. EnergyAustralia also offers a no discount deal in the ACT called No Frills, and at the time of writing, the two plans are up there as some of the cheapest for customers in Canberra. EnergyAustralia has reduced the discounts on some of its plans in Victoria. The guaranteed discount on the Anytime Saver plan drops from 36% to 32%, while the discount with the Secure Saver plans has been cut from 32% to 29%. In both cases, the discount applies to electricity usage charges only. The Flexi Saver maintains a 25% discount off usage charges. Lumo Energy has ended the year by completely changing up its product suite in Victoria and South Australia, retiring some products and launching new ones. Out go the big discount Advantage and Advantage Premium plans in both states, while the eDeal product in Victoria is also resigned to the scrapheap. In comes the Lumo Value plan, bringing a modest 3% discount for paying on time, in addition to 2% for direct debit payments. These discounts are consistent across VIC and SA. Lumo also seems to be placing greater focus on its ‘Movers’ plan now (one of few products specifically tailored for renters), now bringing the same potential discounts as the new Value plan. Despite the move away from big discounts, Lumo’s pricing remains very similar to before, though it’s unclear whether any further rate changes will occur in January. Customers of small electricity retailer CovaU might want to check their energy bills, with prices going up in New South Wales. CovaU has increased costs for both its Freedom and Freedom Solar plans at a time of year when it’s unusual to see price changes in any state other than Victoria. Despite the price increase, the Freedom plan maintains a 25% conditional discount, with customers on the solar version of plan seeing a potential discount of 20%. It’s been a busy month for Momentum Energy which has launched a new product in Victoria, targeted at renters who often move home. The ‘Move Mate’ plan is similar to Momentum’s other products in that it doesn’t include any discounts. But the difference is this plan waives move in fees (connection/special meter read) given that switching over your energy when you move home often comes at a cost. However, customers on the Move Mate plan can expect to pay more for their electricity (at the time of writing) compared with Momentum’s other market offers on our database. AGL has made some subtle but significant changes to its Savers Home Connect plan in some areas. The plan still includes a notable discount off electricity usage charges, but this discount is now guaranteed rather than conditional on paying bills on time. The discount has been increased in South Australia from 4% to 7%, but reduced in Victoria from 23% to 18%. In NSW, it remains the same at 14%. The plan also includes the bonus extra of an Amazon Echo smart home device. Melbourne-based retailer 1st Energy has revamped its Victorian electricity market offers going into the new year. It has removed its Direct Saver and Easy Saver plans from public sale, while cutting the pay on time discount on its 1st Saver product from 43% to 20%. The usage and supply rates on the 1st Saver have been decreased to compensate for the reduced discount, with overall pricing only changing slightly. The discount is now ongoing. Use our comparison tool for latest costs where you live. Momentum Energy has increased prices in Victoria. The retailer has raised its electricity usage rates in the lead-up to the annual price change cycle in Victoria, although it’s unclear whether or not further changes will be made in the new year. The increases mean customers on Momentum’s SmilePower Flexi and Solar Step-up plans can expect to pay around a $100 more per year, based on a typical three-person household on the Citipower network in Melbourne. Price changes may differ across other distribution networks and your personal circumstances. It’s unusual to see a retailer in Queensland change its actual rates at this time of year (usually it’s just discounts), but that’s what Red Energy has just done. Impacting its three market offers in the Sunshine State – the Easy Saver, Qantas Red Saver and Qantas Red Plus – Red Energy has slightly decreased its supply charges but increased its usage charges, resulting in a marginal overall price increase for typical three-person households in the Brisbane area. Victorian electricity retailer GloBird Energy has increased prices on some products. Raising usage and supply rates on its GloSave and EasySave plans, the retailer will now be charging a typical three-person household on the Citipower network about $200 more a year. This could be a sign of things to come for customers of other electricity retailers in Victoria ahead of the annual price change cycle in January. 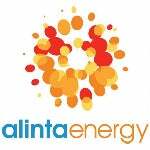 Alinta Energy has introduced new market offers in Queensland, NSW and South Australia. Bringing smaller but guaranteed discounts, they provide an alternative to the retailer’s big discount plans in each state that require customers to pay their bills on time to achieve the savings. The “Fair Saver’ plans work out more expensive than Alinta’s cheapest deals in these states, but may be worth a look if you like Alinta but don’t like risk of losing the big discount if you don’t pay on time. Meanwhile Alinta has removed its ‘Fair Deal’ product in Victoria and now just offers the Fair Saver with a guaranteed discount of 35% off electricity usage charges. EnergyAustralia has trimmed the conditional discounts on its Anytime Saver and Secure Saver products in NSW, both down from 28% to 26%. The retailer has also removed the block rate pricing on its No Frills product in NSW, meaning slightly reduced costs based on a typical three person household on the Ausgrid network. The same change has occurred on the No Frills plan in South Australia, meaning slightly lower overall costs. QEnergy has dramatically increased prices in NSW and South Australia, with a small price rise in Queensland. The retailer frequently changes costs, going from one of the most competitive in some areas to one of the most expensive overnight. It’s not clear whether or not these price changes will impact existing customers, but it’s certainly worth checking to find out! Meanwhile the retailer has also reintroduced its market offers in Victoria. These tend to come and go. It’s not every day that a retailer cuts electricity prices, but that’s what Simply Energy has just done in Victoria. Reducing usage charges, Simply Energy has trimmed about $100 a year off its pricing based on a typical three-person household on the Citipower network in Melbourne. The price cuts apply to its RACV Plus, Simply Plus, AFL Plus, Gold Class Plus and Simply Save products. Use our comparison tool for specific quotes in your area. EnergyAustralia has followed big three rivals AGL and Origin in launching a ‘back to basics’ electricity plan with no conditional discounts or other confusing sign-up incentives, just the promise of ‘great low rates’. Called ‘No Frills’, the plan is available in all areas that the retailer serves, and at the time of writing, actually works out cheaper than some of EnergyAustralia’s big discount plans. Energy Locals has launched its electricity offering in an increasingly competitive South Australia market. Already operating in NSW and Queensland, Energy Locals comes with a competitive Simple Saver product with no conditional discount, just reasonable rates. The retailer also has a membership-based offer whereby customers pay a weekly fee to get access to cheaper rates. Sumo Power has expanded from its Victoria base and now also provides electricity in NSW. The retailer was originally known for offering one of Australia’s first fixed price energy plans with the ‘All You Can Eat’ product whereby customers agree an upfront payment for the year and are then able to use as much power as they like with no extra costs incurred. However, the retailer now offers more traditional contracts consisting of large pay on time discounts off usage charges. Momentum Energy has reduced the cost of its SmilePower Flexi plan in Victoria. Typical three-person households on the Citipower network in Melbourne can now expect to pay around $100 less a year. Use our comparison tool for specific quotes in your area as price changes may be different in other areas and based on your specific circumstances. At the time or witting, Momentum has become one of the most competitively-priced retailers in Victoria, but the company has a habit of changing rates quite often. Powershop has launched a new energy offer across Victoria, NSW and Queensland, moving away from its usual approach of customers needing to pre-purchase power to get its cheapest rates. Customers can still buy powerpacks in advance to save in the long-run, but the company also now offers ‘Powershop Lite’, a more traditional energy product which just brings reasonable prices. Buying powerpacks is still likely to work out cheaper, but for those who like Powershop but not the leg work involved, this could be a solid alternative. Origin has reduced the conditional discounts on its Maximiser and Saver plans in some areas. In Victoria, the direct debit discount on the Maximiser has been cut from 30% to 24%, while the Saver discount for paying on time drops from 26% to 20%. In South Australia, the Maximiser discount has been trimmed from 16% to 12% and the Saver goes from 12% to 10%. Customers who signed up to these plans based on previous discounts should not be affected by the change until the end of their benefit period. Small retailer Energy Locals has switched up its product offerings across NSW and Queensland. Replacing its ‘Save Me’ electricity plan, Energy Locals has launched a membership-based offer that sees customers get access to ‘wholesale’ electricity prices, provided they pay the $4.50 weekly membership cost. Now available in NSW and QLD, Energy Locals also has plans to launch the new Member Promise 2020 deal in Victoria and South Australia in the near future. Energy Locals also has a more traditional market offer called the Simple Saver. Better late than never, Alinta Energy has revealed its annual electricity and gas price changes. Electricity prices are coming down by a weighted average of 1.6% in south east Queensland and Victoria, while rates are being increased by 0.5% in NSW and 0.4% in SA. Gas rates are coming down by 0.8% in Victoria and 0.1% in NSW, but going up by 2.1% in SA. These changes would seem to reflect wholesale power costs coming down and retailers (hopefully) becoming more competitive on price as a result. However, keep in mind that discounts are usually conditional. EnergyAustralia has kept all rates on hold in SA. It should also be noted that some retailers have increased gas prices. Origin, Red Energy and Simply Energy have kept their rates on hold in NSW. While EnergyAustralia has only dropped rates by 0.2% for most customers, those on its fixed rate Secure Saver product will see rates drop by 3%. Be aware that some retailers in NSW have increased gas prices. See below for news on major retailers in the state. Origin Energy have kept its NSW rates on hold, however the retailer has significantly reduced the discounts on the Origin Maximiser and Origin Saver plans, effectively increasing its prices for new customers. The Origin Maximiser discount has been reduced from 23% to 16%, while the Origin Saver has had its discount reduced from 21% to 13%. Existing customers should see no changes to their discounts. Meanwhile AGL has cut the discount on its AGL Savers plan from 25% to 20%. AGL previously announced a modest price reduction of 0.3% in NSW. One of the most significant price changes this July has come from Momentum Energy, which has slashed prices in NSW and South Australia. The retailer has shaved about $300 off its SmilePower Flexi plan in NSW (based on typical energy usage for a five-person household on the Ausgrid network), while reducing costs in the Adelaide area by around $400, based on the same assumptions. 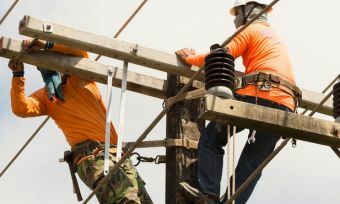 While Momentum Energy wasn’t the cheapest provider in these states to begin with, it is nevertheless a big price cut and good news for existing customers. There’s great news for Powershop customers, especially those in Queensland where the retailer has announced a significant drop in electricity prices, while also bucking the trend by cutting rates in New South Wales. Powershop will cut its rates in Queensland by 8.6% – saving the average household around $140 a year. In NSW, where most retailers have either frozen their rates or passed on only small price reductions, Powershop is cutting costs by 3% – saving the average household about $74 a year. While electricity price cuts have been fairly modest in SA and NSW (if at all), Queenslanders are certainly benefiting from a drop in wholesale power costs. This what we have seen so far from the major players in Queensland. Alinta Energy is expected to announce price changes in the coming weeks. Red Energy has cut or frozen electricity prices across the country, but customers can expect to pay more for gas. The retailer says electricity rates in Queensland will drop by 2.2%, resulting in average savings of about $36 a year. In South Australia, electricity prices will come down by 1.5%, meaning average savings of about $32. However, the news is not so positive for Red Energy customers in NSW where electricity rates will remain the same and natural gas prices will go up by 1.8%. Gas prices will also increase in South Australia by 2.5%. Simply Energy has announced that standing offer electricity rates will drop by 5.4% in Queensland, effective in August. However, the news is not so good in other states, with prices cut by just 0.5% in South Australia, while customers in NSW will see rates frozen. Natural gas customers in NSW can expect a 3% drop in prices, while rates will remain the same in SA. EnergyAustralia has completed the price-changing announcements from the so-called big three, either cutting or freezing rates across the states. Households in South East Queensland are the biggest winners, with their costs cut by 3.8%. The retailer is also cutting prices for Secure Saver customers in NSW, though households on other EnergyAustralia plans in the state will see prices drop by just 0.2%. The Secure Saver plan comes with fixed rates for two years and the retailer had previously promised to pass on wholesale cost savings to those on this plan. AGL has followed Origin in announcing July price changes, also reducing costs in some areas. AGL is cutting electricity prices across NSW, Queensland and South Australia from July, but has also revealed that gas rates will increase for households in NSW and SA. Gas prices in QLD will go unchanged. AGL is cutting standard electricity prices in QLD by 1.6%, while rates are set to drop by 0.4% in SA and 0.3% in NSW. While gas prices remain unchanged in QLD, customers in SA can expect an increase of 2.1% and those in NSW will see costs go up by 1.8%. Energy giant Origin is the first to announce its July 1 price changes for NSW, Queensland, South Australia and the ACT. The news is generally good, if a little underwhelming. The general word on the street is that wholesale electricity prices have reduced, meaning retailers should be in a position to pass on some much-needed savings. Origin has kicked off this (hopefully) trend, albeit with no spectacular news. Origin has lowered its electricity prices in South East Queensland and South Australia, while rates in NSW and the ACT will go unchanged. Origin customers in Queensland can expect the retailer’s base rates to drop by an average of 1.3%, while those in South Australia should see a 1% cut. Natural gas customers in NSW will see rates cut by an average of 3%. AGL has increased some of its conditional discounts in NSW and Victoria. In Victoria, its Set and Forget plan discount has increased from 34% to 38%. This is available for customers who pay by direct debit, with the discount applying to usage rates only for 12 months. In NSW, the Set and Forget discount has jumped from 25% to 28%, while the Savers plan discount goes from 21% to 25%. The Savers plan discount comes for paying on time, with the discount applied to usage rates for 12 months. In most case, the additional discounts will save customers around $100 a year, based on a typical five person household. Existing customers will not automatically receive the extra discounts. You might want to pick up the phone to AGL. Small Melbourne-based electricity retailer GloBird Energy may have just triggered something of a price war in its home state by slashing rates across its GloSave, EasySave and Boost products. The retailer says it is simply passing on changes in the wholesale price of electricity, with the cost of some plans being cut by as much as $700 a year (based on a five-person household on the Citipower network). Solar power customers have also been told to expect a price drop in the coming months. We will watch closely to see if this move from GloBird triggers a reaction from other retailers in Victoria. Significant price changes at this time of year are unusual in Victoria, so we’ll have to wait and see. Just a couple of months after making sweeping changes to conditional discounts, EnergyAustralia is at it again. Its latest changes impact its Flexi Saver and Anytime Saver products across Queensland, South Australia, New South Wales and Victoria. The retailer has decreased the discounts on its Flexi Saver plans, which apply to usage charges for paying bills on time, but has dramatically increased some Anytime Saver discounts. On this plan, discounts are guaranteed. Anytime Saver discounts have traditionally been smaller than Flexi Saver discounts. In Queensland, the Anytime Saver discount has jumped from 8% to 28%. With the AFL season underway, Simply Energy has launched a new offer targeted at footy fans, promising up to $480 in ‘free kick’ credit over the two-year contract period. Customers get $10 bill credit applied to their account each month, in addition to a conditional discount, the details of which vary between states. The Simply AFL Plus plan offers a 10% pay on time discount off usage charges in NSW, Queensland and South Australia, with 30% off in Victoria. To receive the maximum credit, customers will need to sign up for both electricity and gas. Red Energy has teamed up with Qantas to offer two new electricity and gas products that allow customers to earn Frequent Flyer points by paying their bills on time. The Qantas Red Saver gives customers 2 points for every $1 they spend on power, in addition to a 10% pay on time discount applied to the whole bill. Meanwhile the Qantas Red Plus plan provides 7 points for every $1 spent on energy, but the trade-off is there is no 10% discount available. New customers signing up to either electricity plan will also bag 10,000 points as a bonus. Those who sign up to electricity and gas could get 15,000 points. In light of increasing competition, EnergyAustralia has increased conditional discounts on some plans in NSW and Queensland. In NSW, its Flexi Saver plan discount has gone from 20% to 22%, while the fixed rate Secure Saver plan has increased from 22% to 25%. In Queensland, the Flexi Saver goes from 14% to 24%, with the Secure Saver rising from 20% to 28% – in line with discount offers from the likes of AGL and Alinta Energy. Interestingly, the retailer’s fixed rate product is currently its cheapest in NSW, Queensland and Victoria. The deal is not available in South Australia. Melbourne-based retailer 1st Energy has increased its conditional discounts in NSW and Queensland, having only recently launched in the states. Customers in NSW can now get 22% off electricity usage charges when they pay on time (it was previously 20%), while households in the Brisbane area can get 28% off usage charges (previously 18%). The retailer also claims a price match guarantee, so why not put it to the test! Dodo has increased conditional discounts across Victoria, NSW and Queensland. In Victoria, its market offer now brings 40% off electricity usage charges (up from 30%) when you pay on time, while in Queensland the discount jumps from 15% to 25%. In NSW, the discount goes from 20% to 30%, but with an increase in usage and supply charges at the same time, this plan is actually now slightly more expensive. Dodo customers who signed up with different discounts at the time may need to contact the retailer to ask for improved terms. AGL has launched a new prepaid power plan which sees customers awarded bonus credit relating to how much energy they buy in advance. Customers who prepay $50 will receive $10 in bonus credit, while those who can afford to spend $100 will benefit from an extra $30. A maximum credit of $80 is available to customers who prepay $240. AGL’s standard contract rates are applied. The prepaid plan is available over 12 months, with no lock-contract or exit fees. Customers who try the plan can switch to another without penalty, but bonus credit cannot be refunded or transferred to another account, AGL says. The plan is only available to residential customers in Victoria with a smart meter installed at their property. Click Energy has once again made sweeping changes to its electricity products across the country. Replacing its previous flagship market offers which varied between states, Click has now introduced the ‘Click Agate’ plan across Victoria, NSW, South Australia and Queensland. Conditional discounts vary by state, but the good news is that the plan typically works out cheaper than the retailer’s previous offers, in most areas. However, be sure to search for a specific quote where you live. Click customers on different plans can contact the retailer and ask to be moved onto this one. Click Energy has also changed its solar offers across the country, now named Click Solar and Clock Solar Light. Queenslanders are also offered the ‘Click Bright’ product. Simply Energy has beefed up conditional discounts on its RACV and NRMA member offers in Victoria and NSW respectively. RACV members can now get 45% off electricity usage charges for paying bills on time and in full, while NRMA members can now get 21% off. Both plans have variable rates and two year benefit periods, with no exit fees. Simply Energy recently increased prices in Victoria. AGL has launched a new product that comes with a ‘free’ Amazon Echo smart device. The retailer says the device can help customers better manage their energy usage and provides easy access to their billing information. Users can even ask the device any questions they have about their bills. The AGL Savers – Home Connect plan is available in Victoria, South Australia, NSW and Queensland, with varying conditional discounts depending on where you live. More details here. There’s a welcome surprise for Powershop customers in Victoria, with the retailer dropping usage rates across the board. It means handy savings of around $150 a year for customers on its Online Saver and Standard Saver plans, based on typical energy usage for five person households in central Melbourne. The change comes after Powershop increased prices by around 20% in December last year. Compare Powershop prices to other retailers in Victoria here. There’s good news for Momentum Energy customers, with the retailer significantly dropping prices on its SmilePower Flexi plan in Victoria. Known for offering 0% discounts, Momentum has cut its rates and reduced overall costs by around 11%. It means savings of close to $300 a year for a typical five person household on the Citipower network in Melbourne. You can see how Momentum now compares to other electricity providers in Victoria with our state comparison report. Momentum is also expected to lower gas prices in Victoria in the near future. There is another twist in the unfolding SE QLD price war, with AGL matching Alinta Energy’s 28% discount off electricity usage charges. Increasing the conditional discount on its Set and Forget product by 10%, AGL is now the closest competitor to Alinta on price. However, unlike with Alinta, it seems existing customers will need to contact AGL in order to receive the additional discount, which would save a typical five person household in Brisbane around $200 a year compared to AGL’s previous offer. Customers on AGL’s standing offer in Queensland stand to save more than $500 a year by making the switch to its new cheapest deal. QEnergy has also put through a modest reduction in rates this month. Alinta Energy customers in SE QLD have received an additional 3% discount off electricity usage charges, with the retailer bumping up its offer from 25% to 28% off. Increases in conditional discounts are typically not passed on to existing customers, but in this case Alinta says it is rewarding the more than 100,000 Queenslanders who have so far switched to the retailer. The extra discount will save a typical five person household in Brisbane around $60 a year. The Home SaverPlus plan from Alinta has a benefit period of two years, with no exit fees. Red Energy customers in Victoria can expect large price increases. It seems the retailer delayed its annual price changes in Victoria until February, but has now jacked up prices by around 15%. A typical five person household in Melbourne can now expect to pay about $300 more per year for their electricity. The price change applies to Red Energy’s Living Energy Saver plan, which brings a guaranteed 10% discount off the entire bill, with an ongoing benefit period. There is no lock-in contract. Pacific Hydro customers can expect a new name on their bills in future, with the Melbourne-based retailer rebranding to become Tango Energy. Other than the name changes, there have been some subtle changes to its products. While Tango Energy continues to specialise in fixed rate plans, rates are now locked in for just 12 months, as opposed to 24 months previously. 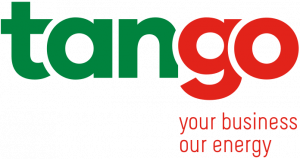 Tango Energy now offers two residential market offers, one providing flexible billing and payment options, while the other rewards customers who sign up for email billing and direct debit payments with a small sign up credit. Rates are the same on both plans. Simply Energy customers should check for significant price increases this month. The retailer has increased rates in Victoria to the tune of 15%, with a typical five person household in Melbourne set to pay an extra $300-odd a year more. The rate change has impacted its Simply Save, Simply Plus, Gold Class Plus and RACV Plus electricity products, with conditional discounts remaining the same. Other retailers to increases costs in Victoria include Powerdirect and CovaU. See our comparison tool or this page for further pricing details. Red Energy customers in Queensland can now expect slightly lower bills, with the retailer trimming its usage rates and thus reducing overall costs. A typical five person household in Brisbane can expect to spend about $100 less on electricity a year as a result of the price reduction. Red Energy follows other energy retailers in either cutting rates or increasing conditional discounts in SE QLD. The arrival of Alinta Energy into the market has triggered plenty of price competition. Further price cuts are expected in the coming weeks. The new year has got off to a good start for Victorian customers of Alinta Energy and Momentum Energy, with both retailers cutting costs in the state. Reducing their electricity usage charges, a typical five-person household with Momentum in Melbourne can expect to pay around $100 less a year, while Alinta customers can expect savings of around $80. While relatively modest price reduction, this is welcome news nonetheless and could trigger other retailers to follow suit. See how Momentum and Alinta stack up on price compared to other retailers with our Victoria price comparison page. AGL has added a new product to its suit of offers in Victoria. The AGL ‘Essentials’ plan is a fixed rate deal for 12 months, meaning that usage and supply charges will remain the same for a year. The plan does not include any conditional discounts, just “simply low rates”, according to the retailer. Despite being a fixed rate plan, no exit fees are applied for cancelling the contract early. AGL follows in the footsteps of EnergyAustralia in bringing back a fixed rate offer. However, the Secure Saver from EnergyAustralia see rates locked in for two years rather than one. At the time of writing, the Essentials plan from AGL actually works out to be the retailer’s cheapest product in Victoria, based on a typical family of five in central Melbourne. Search with your postcode in our electricity comparison tool for a specific quote in your area. 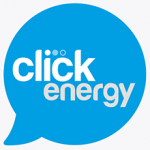 Click Energy continues to play musical chairs with its electricity products, removing its Topaz plan from Victoria and replacing it with Click Onyx. The good news is that the new plan works out around $500 a year cheaper than the old one (based on typical five-person household on the Citipower network)! Like Click Topaz, Click Onyx also comes with a 29% conditional discount for paying bills on time and by direct debit, but it comes with noticeably cheaper usage rates. Click Energy customers on the Topaz plan may wish to contact the retailer to ask about their options. Click Energy has a habit of turning products on and off from public availability quite often. Origin Energy has kicked off 2018 with an increase to conditional discounts in NSW. Origin’s Maximiser flagship plan has seen an increase from 19% to 25% for customers who pay by direct debit, while the Saver plan has seen an increase from 15% to 21% for customers who pay their bills on time. In the case of the Maximiser energy plan, new customers can expect to pay around $140 a year less than previously (based on typical five-person household on the Ausgrid network). Discounts have a 12 month benefit period. While new customers can receive the new discounts, existing Origin customers may need to contact the retailer and ask to be placed on the new deal. In some cases price changes have only been applied to standard contracts, but other retailers have also increased market rates. Be sure to check your plan if you’re with one of these retailers. Prices increases have been significant in some cases. AGL has increased prices by 12%, EnergyAustralia by 14% and 1st Energy by 18% based on typical five-person households in Melbourne. While most retailers change their prices from January 1 each year, it’s important to know that others choose to adjust their rates at different times, meaning it’s important to keep an eye out for any communications from your provider. Lumo Energy has pushed ahead with significant price rises in Victoria ahead of the new year. Plans changed are Lumo Advantage, Advantage Premium, Life 10, Movers and eDeal. In the case of the latter, prices have been increased in the region of 27%. Typical five-person households on the Lumo eDeal can now expect to pay an extra $500 a year. However, the online-only eDeal remains the retailer’s cheapest electricity plan in Victoria, with a 33% discount off your entire bill when conditions are met. Powershop has increased its energy prices in Victoria by around 20%. For a typical five-person household in Melbourne, this will likely add another $500 a year to annual electricity costs. While Powershop has reduced its daily supply charges, this has been compensated for with higher usage rates. This move could favour low-usage households, but overall costs have still increased. This percentage price increase from Powershop is likely indicative of other price rises to come from other retailers. Mojo Power has overhauled its products and rates, doing away with its fixed monthly fees for access to “wholesale rates”. Instead, Mojo Power has increased its daily supply charge to cover its costs, while also claiming no markup on its relatively low usage rates. This theoretically means Mojo Power doesn’t benefit from customers receiving large electricity bills due to high electricity usage. Mojo Power has two new products with identical rates and similar conditions: Mojo Connect and Mojo Energy Pass. The only difference is that Energy Pass customers pay an annual subscription of $360 to receive $480 worth of credit split over 12 monthly bills, essentially saving you $120 over the year. Energy giant Origin has become notably more competitive in SE QLD, increasing the conditional discounts on its Maximiser and Saver plans in the state. The Maximiser plan is the cheapest, with a 16% direct debit discount making it one of the most competitive deals in the Brisbane area at the time of writing. The Origin Saver plan, now with a 14% pay on time discount, works out marginally more expensive. GloBird Energy has become the first retailer in Victoria to significantly increase its prices in December. Going into the busy price-change cycle, GloBird has jacked up rates on all of its products, including the GloSave, Boost and Easy Save electricity plans. It looks like price increases of around 25% have been applied. It remains to be seen how high other retailers in Victoria will go over the coming weeks. Dodo Power & Gas and Click Energy appear to have got in early with their price increases back in October. There have also been some subtle changes from other retailers in early December. These include EnergyAustralia increasing the conditional discount on its Flexi Saver product from 26% to 28% and Momentum Energy adjusting prices in NSW, VIC and SA. Meanwhile Powerdirect has cut the benefit period of its market offer from two years to one year in QLD, NSW and SA. Energy Locals relaunched its leading product in November. ‘The Lock Down’ has been renamed to ‘Save Me’. Aside from the name and slight reduction in rates, these two deals are identical, with no discounts, benefit periods or contract terms – just straight forward electricity. The ‘Save Me’ deal comes with the promise that Energy Locals won’t increase its rates before July 2018, giving customers certainty about their bill. Energy Locals also claims to be one of the few retailers that reduced its electricity rates earlier in the year. EnergyAustralia has launched a new fixed rate energy plan called Secure Saver. The retailer, along with big three rivals AGL and Origin, removed its only fixed rate product back in August citing little customer interest. However, unlike its previous offering, the Secure Saver from EnergyAustralia comes with big discounts and is likely to attract a lot more interest as a result. In fact EnergyAustralia has reduced the conditional discounts on its Flexi Saver and Anytime Saver plans to ensure the Secure Saver has the biggest discount in each state, NSW, Victoria and QLD. The retailer is obviously keen to get customers on board with its new fixed rate deal, which at the time of launch works out to be its cheapest product in each state where it is available. Click Energy has introduced a new plan to the Victorian market ahead of the anticipated annual price changes in the state in January. Click Topaz is now the retailer’s flagship market offer in the state, bringing a total bill discount of 29% for paying bills on time. However, new customers on this plan can expect to pay significantly more than those who signed up to its previous offer, Click Opal. It is unclear whether or not further product changes will go through in January. Dodo customers in Victoria can expect a significant bill increase of close to 15% this October. The retailer has increased prices on its only market offer in the state, meaning a typical five-person household will be paying around $300 a year more with the retailer. Its market offer still has a 30% discount off usage charges when you pay on time. Given that electricity prices in Victoria are typically changed at the turn of the year, it’s unclear whether further price increases will incur in January or not. Origin Energy has made some subtle changes to its conditional discounts on plans in NSW and South Australia. The new Origin Bill Saver plan in NSW now has a whole bill discount of 10%, up from 5%. This is a guaranteed discount with a 12 month benefit period. The Bill Saver plan discount has also been increased in SA, from 5% to 8%. Meanwhile Origin has also increased the discounts on its Maximiser and Saver products in SA, both up 2% respectively. The Maximiser, with its direct debit discount, now offers 16% off, while the Saver plan, with a pay on time discount, now brings 12% off. Small Victorian electricity provider GloBird Energy put through some small price increases on its Boost and GloSave products in late September. However, at the time of writing, it remains one of the most competitive retailers in Victoria. GloBird also recently launched a new product called EasySave, which typically works out cheapest for large households. Unlike the retailer’s other plans which bring pay on time discounts (off usage charges or your entire bill), the EasySave plan has no conditional discount, just low rates. The catch is that you must pay bills by credit card, rather than debit card. September has turned out to be a busy month for AGL. Following the changes mentioned below, the retailer has also adjusted the conditional discounts on its Savers and Everyday plans across the country, generally resulting in reduced discounts and higher overall costs to new customers. AGL has also returned its Set and Forget product in NSW and Victoria, having been unavailable to new customers for the last few months. Whichever state you live in, Set and Forget will likely be your cheapest option with AGL. It provides a direct debit discount off usage charges with a 12 month benefit period. However, like the Savers and Everyday plans, it comes with variables rates, so you’ll have to take your eyes open for any rate changes. The latest energy company to reduce its costs to new customers in SE QLD is Powershop. Following on from QEnergy and Origin, Powershop has increased the discount on its Online Saver plan from 10% to 15%. The change results in savings of more than $100 for typical five person households. This makes Powershop much more competitive in the SE QLD market, but be sure to do your homework on this retailer before signing up as getting the best value is dependent on following the cheapest deals on Powershop’s website. You will likely need to log on every month to secure the best rates. It can get confusing, so don’t be afraid to ask lots of questions. Brisbane-based retailer QEnergy has revamped its product line-up across the country, resulting in some of the cheapest deals around. At the time of writing, QEnergy’s new Flexi Home plan is one of the cheapest deals on the table in NSW, QLD and SA, while also challenging some of the best deals in Victoria. The Flexi Home plan comes with a guaranteed discount off either usage charges or your while bill, depending on where you live. Customers in Victoria get 38% off usage charges, while those in the other states see discounts of between 17% and 24%. There is a two-year benefit period. Momentum Energy has adjusted its pricing in the southern states. In Victoria, electricity usage charges on its SmilePower and SmilePower Flexi plans have been increased. The Flexi plan remains its cheapest product, with prices increasing by around 4%. Momentum has also increased the usage rates on its SmilePower plan in NSW and SA. AGL has reduced the conditional discount on its Savers plan in Victoria by 3%. Available for paying bills on time, over 12 months, the discount is now 30% rather than 33%. The change means new AGL customers can expect to pay around $70 a year more than those who signed up previously. The Savers plan remains AGL’s cheapest product in Victoria. Origin has made some subtle changes to its conditional discounts on plans in QLD and SA. In QLD, the direct debit discount on its Maximiser plan has increased from 10% to 12% – meaning new customers will pay around $40 less a year on Origin’s cheapest plan – while the pay on time discount with its Saver plan has jumped from 8% to 10%, also resulting in fairly modest savings. In SA, however, Origin has decreased the direct debit discount on its Maximiser plan from 16% to 14%, meaning new customers can expect to pay about $90 a year more than those who signed up previously. CovaU has introduced a new product in Victoria, called the ‘Introductory Offer’. It features a total maximum discount of 34% off electricity usage charges – 30% for paying on time and 4% for paying by direct debit. It comes with a contract period of 12 months. It appears to be priced the same as CovaU’s Smart Saver plan in Victoria. *Please note that estimated increases and decreases in costs mentioned above are based on typical energy usage for a five-person household at a selected postcode in each state. Please use our comparison tool for a specific quote for your suburb.